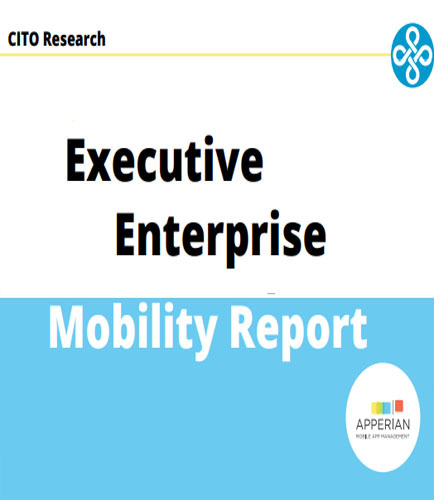 "Executive Enterprise Mobility Report :Mobile App Management"
In Executive Enterprise Mobility Report 2015, 67% of enterprises cited improved business processes as a primary goal. Why enterprise mobility programs are recommended? An Enterprise mobility program seeks a competitive advantage and helps in generating new revenue streams for businesses. Enterprise Mobility survey is an effort to measure enterprise mobility trends. Mobility reports help companies to speed up business processes. The top priority for mobile is speeding up the unique business processes that represent an organization’s best practices for driving revenue. Mobile apps with the greatest impact on productivity and ROI. But, the challenge is Which Mobile Apps will have the greatest impact on productivity or ROI? What Challenges Are You Facing in Achieving Mobility Goals? How much visibility do companies have into mobile metrics? What investments do we need to increase mobile app adoption?